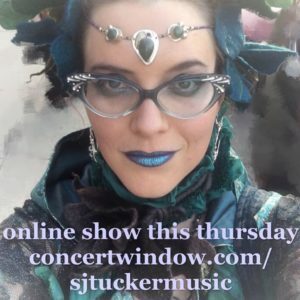 Online show THURSDAY + free new song and more! Please join me if you can tomorrow evening on my Concert Window channel for an online show! I’ll be singing solo this time, with new songs and new tip rewards available to all of you. The ticket price is your choice. I’ll start the music at 8pm Central (9pm Eastern, 7pm Mountain, 6pm Pacific). Watch here. Please feel free to share the link with friends- online shows never run out of seats, and everyone is welcome! Join the discussion if you like on the Facebook event page. I will debut at least one new song during the broadcast, a lullaby I’ve been working on en Español. If you’re at all more fluent than I am in that gorgeous language, I’d love to have your feedback on the lyrics and presentation. My plan for the lullaby is to release it on my YouTube channel for free, in hopes that it can be used to provide comfort to those of all ages being detained and torn from each other at our southern border. I’ve had a lot of help from fans and friends already in getting my Spanish as correct as I can for the lyrics, but I am happy to have more help. Speaking of new songs, I have a surprise for each of you if you haven’t heard it yet. The newly released, fleshed out mix of my Traveling Song “Dance the Faery Ring” is available as a free download right now, in celebration of the Summer Solstice! 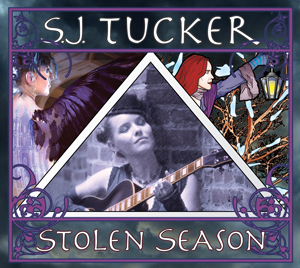 I’ll sing that one live tomorrow night as well, but if you don’t have it yet, please help yourself and get it here! “Dance the Faery Ring” is my attempt at writing a song to celebrate the changing of the seasons. I hope it will inspire you to dance. In a couple of weeks, I’ll be in Ontario, Canada oh so briefly, for the 2018 Pagan Fest event! I will give a concert and teach two workshops over the weekend, and the festival’s music lineup is a whole constellation of stars! More info here. After that, I’ll be performing at the Confluence convention in Pittsburgh! More info here. Those are my only two live appearances for the month of July. Please let me know if you plan be at either event! This last section of today’s post is CW: reproductive stuff. Please skip it if you need to do so. Your needs are valid and you have my love and understanding, no matter what. If you have not seen the big news I shared on my blog last month, I’ll share it with you now. I have a son on his way, due to arrive around Halloween of this year! This is my first pregnancy ever, and to be honest, I wasn’t entirely sure that my medical history would ever allow me this chance. But here we are, everything is proceeding as it should (so much so that the head of my prenatal team gave me a hug during our last visit), and I am feeling as if the strength I’m about to find in myself, I cannot even imagine yet. To all the parents and teachers and aunties and other similar heroes here on my list, and to those who hope to be one or all of those one day as well, you are my inspiration and the source of my courage. The village for this wee sprite is so, so vast, and that is what makes me brave. Read my official announcement here if you like. If anyone is curious to see our baby registry, click here. If you wish to send a little something to help us out with potential medical bills or diapers in the months to come, click here. And by the way, ZERO pressure on this, and of course no offense or awkwardness meant, only my love and my deepest thanks. Ryan and I have received so much joy and encouragement from all of our worldwide community on this adventure already, so if you’re sending your joy and encouragement now, please consider that a gift in and of itself!